This growing season has not been easy at all for many types of fruit to produce a good crop. Believe it or not one crop, with us, was outstanding, taking in consideration fruit size and flavour. It was the Moorpark apricot. The variety is as old as the hills, has been around and grown for hundreds of years and yet it came up with the most delicious fruits. The espalier trained tree, grown on a South to South Eastern positioned wall, flowered quite early, during March of this year. We covered it up with a double layer of garden fleece, to stop the frosts killing the flowers and took the fleece off when the bumble bees wanted to visit the blossoms. This created a good fruit set. From then on it was a question of watering the tree during the very few occurring dry spells of this season. 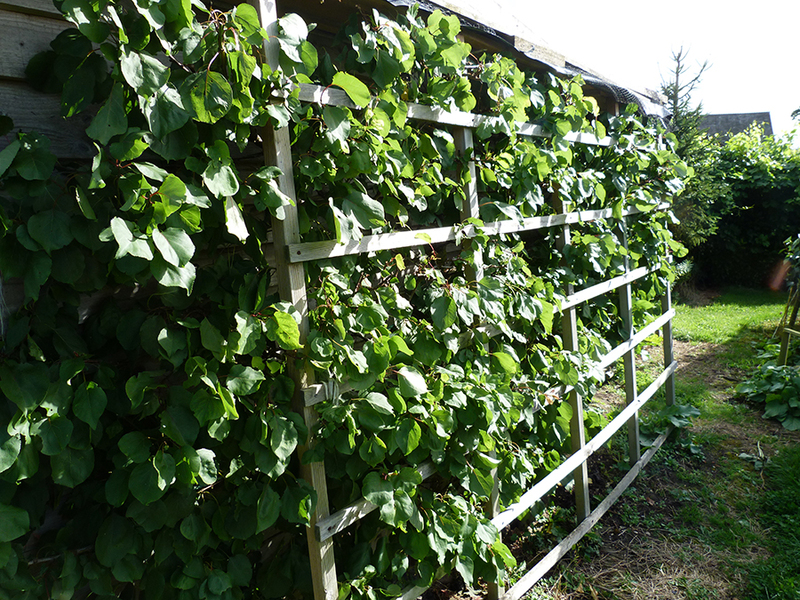 By the end of May we thinned the fruit to a spacing of approx. 5 inches apart and that was it. No pests or diseases to deal with and it grew on producing those fabulous fruits by the middle of August. Apple, pear or plum, none of them came up with a similar quality crop. Having thought about it quite a lot, it must have been the fact that apricots tend to flower so early and set fruit early gave them such a good start. There were good warm days when the apricot was in flower. This was not the case when the plums and apples were in blossom. So this proves the point that a factor which was thought of as a disadvantage, the very early flowering, this year turned out to be an advantage. The moral of this story is, early flowering of almonds, apricots, peaches and nectarines is no problem. Always of course we make sure that when they begin to blossom the trees are covered at night with a double layer of garden fleece when the weatherman tells us a night frost is expected. This is a great insight into the benefits of early flowering. So often early-flowering is presented as a problem, but I think you are right, this year varieties that flowered early were able to escape the devastating effects of the April deluge. Our Tomcot apricot also did very well this year.